Crystal Bohnen is the owner and manager of Emerald Leaf Stables, LLC. She began riding at age 9, and had her first horse by age 12. She spent all of her teenage years completely dedicated to her horses. She was fortunate enough to have a small farm at home where she was the sole caretaker of her animals, as well as having her show horses kept at boarding and training facilities. Crystal competed at the local through “AA” rated circuits in the Midwest. Crystal went to Virginia Intermont College, Bristol, VA where in 2005 she received a Bachelors Degree in Equine Studies. 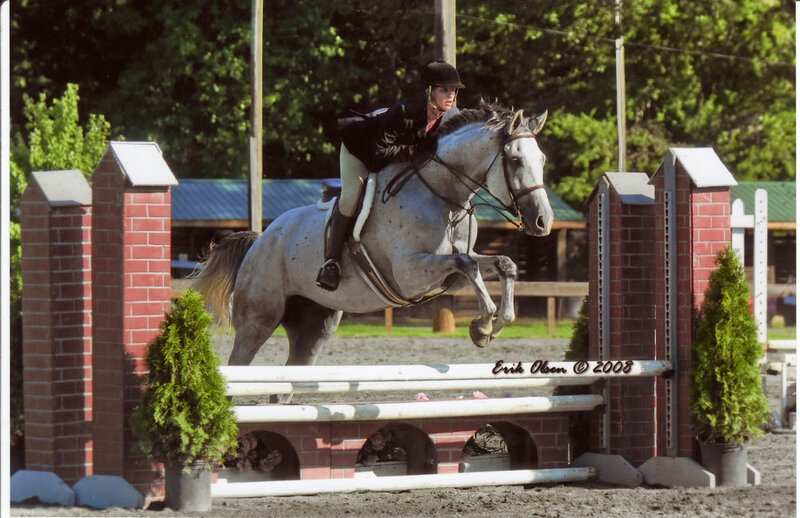 During this time, she competed on their highly competitive IHSA (Intercollegiate Huntseat Association) and the IDA (Intercollegiate Dressage Association) teams. The Equine Studies major included such classes such as equine nutrition, farrier science, equine anatomy and physiology, and equine business management. This degree combined with her years of experience greatly prepared her for running her own business. During college, Crystal worked for various trainers in the southeast; ranging from working student positions, to show groom on the “A” circuit, to barn manager of a first-class facility. Following graduation, she accepted the position of barn manager and Head Trainer at Serenity Acres in Flowood, MS. She ran the 13 horse facility, as well as taught all lessons, kept numerous horses in training, bought and sold horses, and took students to shows local through”A” rated. During this time, many of her horses and students were ranked amongst the top on the MHJA (Mississippi Hunter/Jumper Association) circuit. Crystal moved to South Carolina in 2007. She began a lesson program out of a large facility in Campobello, and began teaching, training and taking students to horse shows. She was then given the opportunity to manage the 30 horse facility, as well as become the assistant coach of the newly formed Converse College IHSA team alongside head coach Lincoln Russell. She also had the opportunity to be an assistant trainer at a farm in Landrum, as well as the assistant coach for the Clemson IHSA Team, which saw a rider attend Nationals. In 2011, Crystal formed an IEA (Interscholastic Equestrian Association) Team, with 10 riders in it’s first year, qualifying 6 for Regionals, and 11 riders in its second year, qualifying 5 for Regionals, and 8 riders it’s third year, qualifying 5 for Regionals, and one rider qualifying for Nationals. Crystal has been operating Emerald Leaf Stables since 2013. 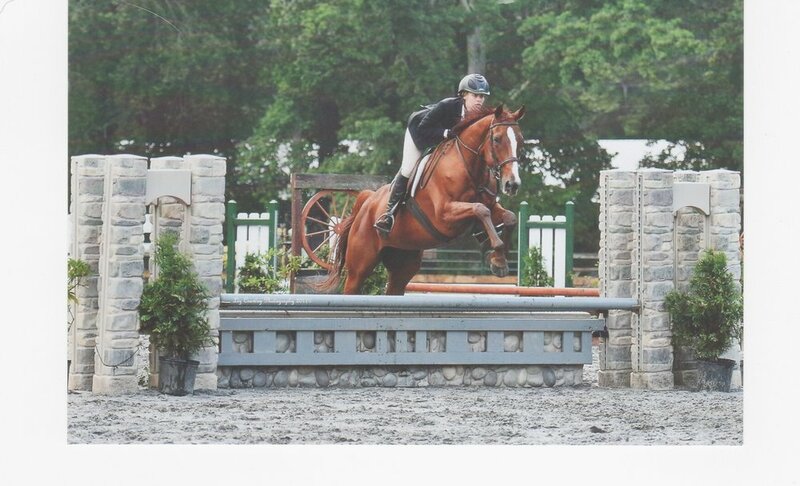 She is highly experienced with all level horse and rider. She is highly passionate about her riders achieving their goals, and makes her primary goal to teach every rider and every horse something new with every training session. She has been highly successful in retraining young horses, as well as working with horses with training issues.